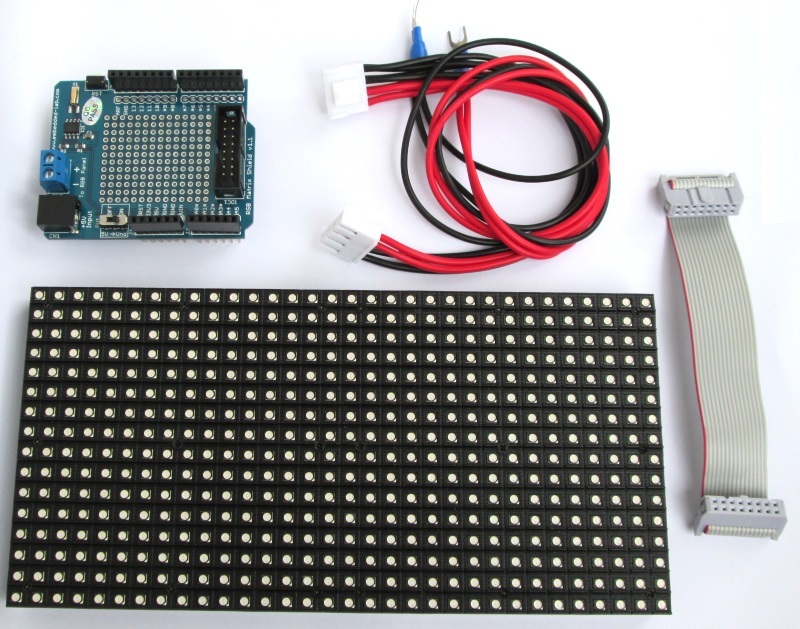 Our Chinese partner, Elecrow, now also carries our 16×32 RGB LED matrix panel + Arduino driver shield. They also offer worldwide shipping at much lower costs. The RGB matrix panel has 512 bright RGB LEDs arranged in 16 rows and 32 columns. Row and column driver circuits are built on the back side of the matrix panel. The data and control signal pins are accessible through a HUB75 (8×2 IDC) connector. It requires 12 digital I/O pins of Arduino Uno for full color control. The display module also comes with a RGB connector shield for Arduino Uno and necessary cables for easy wiring between the RGB panel and the Arduino board. It also features the DS1307 RTC chip on board along with a CR1220 coin-cell battery holder. The I2C pins of the DS1307 chip are pre-wired to A4 and A5 pins of the shield. Hallo, guys! 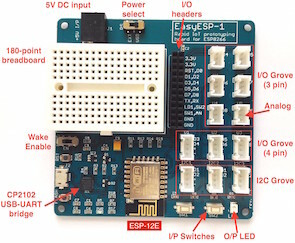 Tell me please, can I order Arduino’s shield with which this set is completed? I need only this shield without led matrix for my project. I have led matrix and arduino yet. Can you help me with it? . Its realy Or tell me where they can be ordered?